Got the analog part up and running. Unfortunaltely I had to do some "bugfixes" & optimizations... Nevertheless, tests have proven that it supports up to 100 kHz test frequencies. - LC-Display control, including "printf"
The readings are raw and uncensored data, i.e. without any compensation of imperfections of the ADC, DAC, PGA and imbalance of current measurement, which will be added in a next step. The imbalance and non perfections of the current measurement lead to great errors in the phase and amplitude measurement when the current signal is small. The root source is, that both inputs of the subtractor will never be 100% balanced. But the good news is, that this error can be compensated in the digital domain. 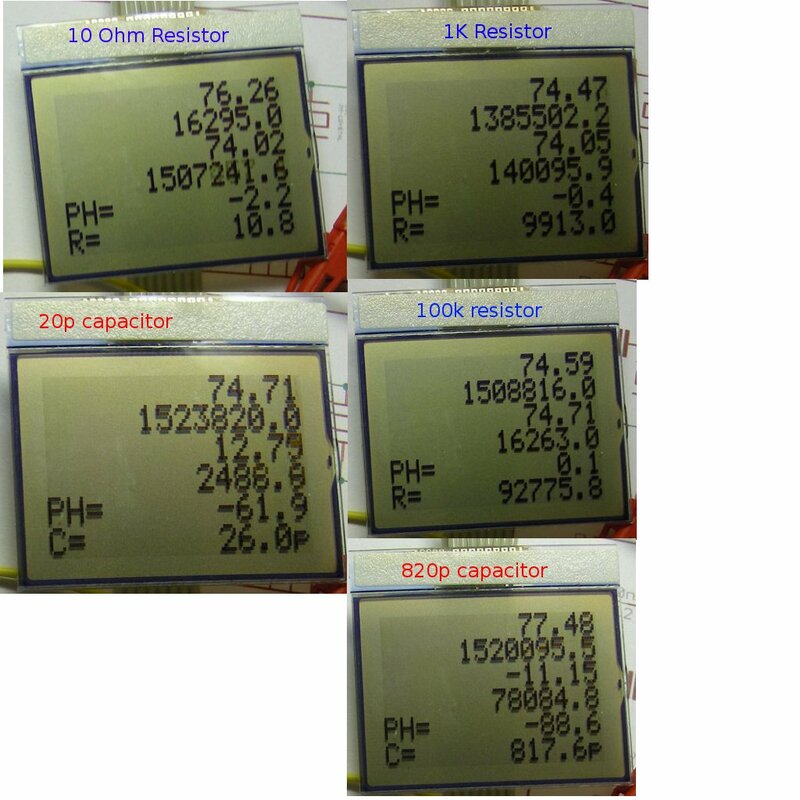 When viewing the results, also consider, that a 10K resistor does not have a value of 10K. I double checked for example the 10K resistor which measures as 9950 Ohm with a multimeter.